We all have our hobbies. Some of us like to do gardening, and others DIY around the house. 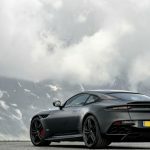 For those of you out there who collect supercars, if you’re looing to add to your collection this year, then here’s a list of the best ones to by for 2019. 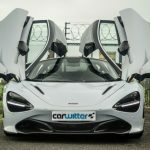 No supercar list is complete without a McLaren on it, so we’ll begin with the 720S for 2019. Although these have been around for two years now they are still one of the best supercars on the market. If you want to add one of these to your collection then a new one will set you back just over £220,000. 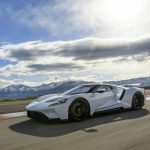 The Ford GT40 was one of the most desired cars in it’s day, and the newer Ford GT is following in its footsteps. It has a 0 to 60 time of just 2.8 seconds which puts it in the same league as a McLaren. Unfortunately the demand has well outweighed the supply of these so there are currently no new ones on the market, which means that you’d have to settle for a second hand one. You’ll probably have to pay a premium to own one as well. Luckily I have a Fiesta do I may be able to negotiate a trade-in with my local Ford dealer. Veneno is the Italian word for “venom”, and this Lamborghini is probably about as poisonous as they come. 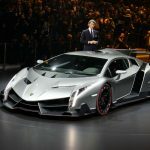 It’s based on the older Aventador, and was created to celebrate Lamborghini’s 50th anniversary. It’s a beautiful piece of craftmanship, which is probably why it costs almost £3.5 million. 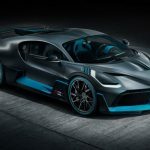 If you like your Bugattis, then 2019 will see the realease of the limited edition Bugatti Divo. Named after Albert Divo, a French driver who raced for Bugatti at the beginning of the twentieth century, it looks incredible and has an equally incredible price tag of £3.8 million. It has a quad-turbocharged W16 engine so is about as powerful as you can get. Production is limited to just 40 though, so make sure you hurry up if you’d like one. Probably the coolest of all supercars available at the moment, the Aston Martin DBS Superleggera is the most classically designed. It’s 5.2 litre twin turbo-charged V12 lets it get from 0 to 60mph in 3.2 seconds, which makes it particularly useful for everyday tasks such as collecting the weekly food shop and driving nana to the opticians. No supercar list is complete without a Mercedes on it. 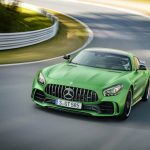 The Mercedes AMG GT-R is one of the most powerful cars ever released into production by Mercedes, as well as one of the best looking. It’s probably the closest thing to Batman’s Mercedes in Justice League. And the best thing about it – you can get one for around £150,000 on eBay.